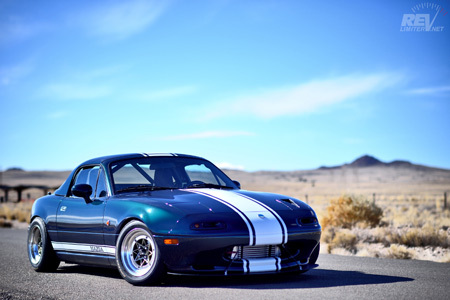 Congratulations to Adam on the selection of Sharka as the June Miata of the Month! 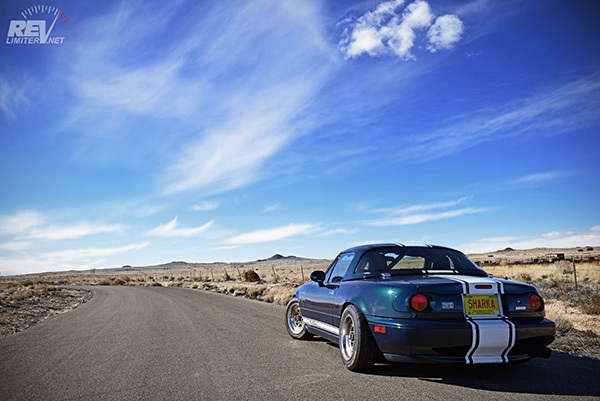 Like many Miata owners, my story starts with a test drive and purchase. I wasn't in the market for a car at the time, but a single Miata test drive ignited something in my spirit. It was like coming home. It was like being free. I was hooked. 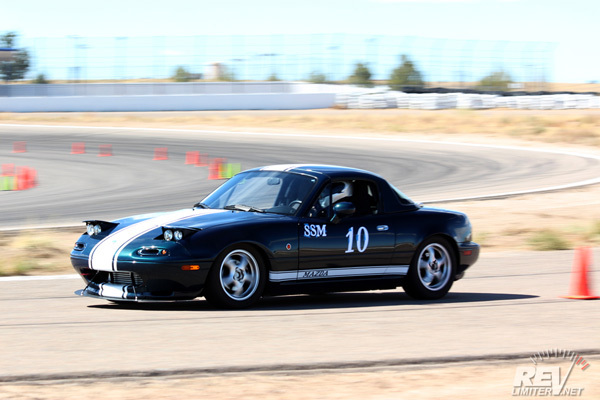 Miatas were in my blood and the little car, named Sharka, slowly became the four-wheeled extension of my own soul. But the beginning isn't really where Sharka's story gets interesting. See, the image at the top is of two different cars. Both are Sharka. I've bought and built the same car twice. In the fall of 2008, Sharka was destroyed in a freeway accident. I survived. Sharka didn't. A big truck that hit at full freeway speeds did away with the 97 montego blue chassis quite effectively. I immediately bought the car back from my insurance and started stripping the undamaged parts to rebuild my beloved Roadster. I searched the internet for a few months and found a pristine 95 chassis in the same montego blue color. Only 31,000 miles on the clock... like it was just waiting for me. It didn't matter to me that it was winter and the car was deep in snow territory. I booked a plane ticket, handed over a lunch-box full of cash, and began the 2000 mile drive home from Ohio to New Mexico in an unknown car. 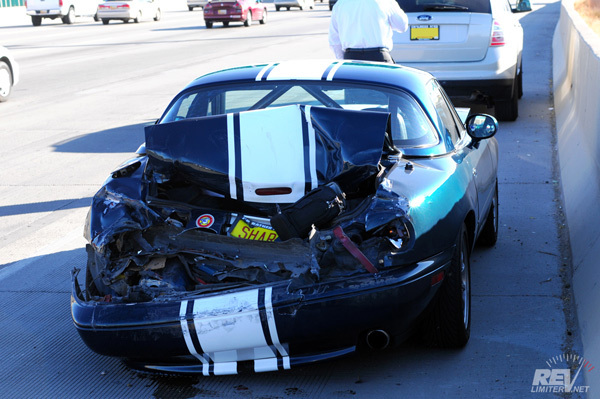 That's how crazed I was to have my Miata back and how sure I was of my own automotive repair skills. We made it home in one piece and had no major mechanical problems along the way. 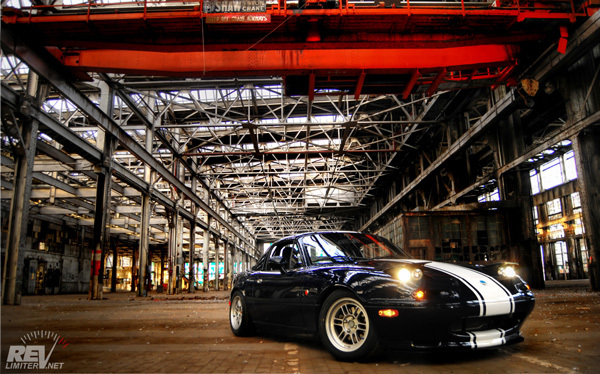 Mazda builds great cars. By the way, if you've never flown to an unknown city to buy a car you intend to road-trip back home, I highly suggest considering it. Take a camera and document your experience. I guarantee you will not want to forget any part of your trip. Over the next year, I slowly rebuilt Sharka. Getting the chance to do everything over again was wonderful. I re-installed the best modifications I had made in the eight years prior and I took my time with it. I did everything right. I obsessed over each detail. I documented everything on my blog. Most of the time, it was just me working in my garage. Sometimes friends or family would come over and hang out. The shot above is of me and my dad (I'm the one with the sideburns) swapping the stock 95 motor for the even-lower-mileage 99 motor that came out of the wrecked car. My dad had never done anything like that before and loved ever minute. It is one of my favorite photos of the rebuild. And as you can see from the engine bay shot, that motor got a big, shiny hair drier bolted to the exhaust side. The FM turbo is one of the finest modifications I've ever made and something I've wanted nearly as long as I've had the car. When I'm not working on Sharka, I'm snapping photos. I've been into photography on a semi-professional basis for the past six years. That little Roadster is one of my favorite subjects. The above shot with the lightning marked the end of Sharka's rebuild. It was the first time since the wreck that I looked through a viewfinder and saw the car that I started with staring back. It was one of the proudest moments of my Roadster Life. And I didn't stop there. The following three years saw many more modifications in an effort to create My Perfect Miata. The interior is where I spend the most time, so it tends to get the most attention. That's a leather-covered NA6 dashboard. That project took me the better part of a year and includes a ton of unique pieces. Most of those parts were hand-made by me in my garage. I could fill pages with every little detail, but in an effort to keep things short, I'll just say that to me, Sharka's interior is perfect. It is my favorite place in the world to sit. 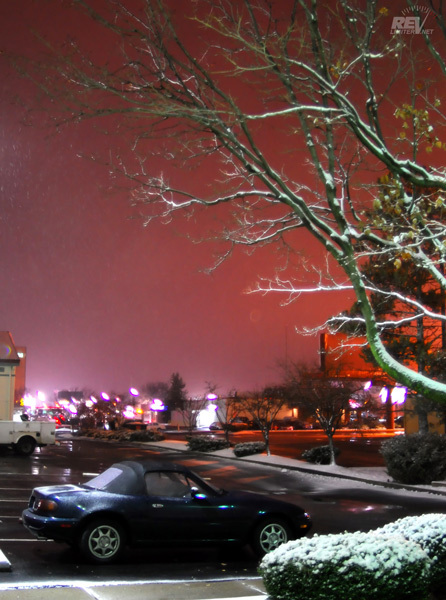 I couldn't write about my beloved Miata without mentioning cones and parking lots. I bought the car and started killing cones a few months later. Now, 13 years later, I'm still doing it. The car might not be nationally competitive (nor is the driver), but that doesn't stop me from enjoying a few local events every year. And the turbo definitely makes things more fun. Sharka and I have had quite a journey in the past 13 years. I am actually to a point with the car where I'm starting to feel it's “done.” Sharka just feels perfect to me right now. But that doesn't mean I'll be selling and moving onto some other project. No, I could more easily sell various organs than get rid of my Miata. There will always be a white-striped Roadster named Sharka in my life. Even if that car is somehow destroyed again. I'll just rebuild it again. And again. As many times as it takes. If you'd like to see our latest adventures or read about the past modifications, check out Sharka's blog. 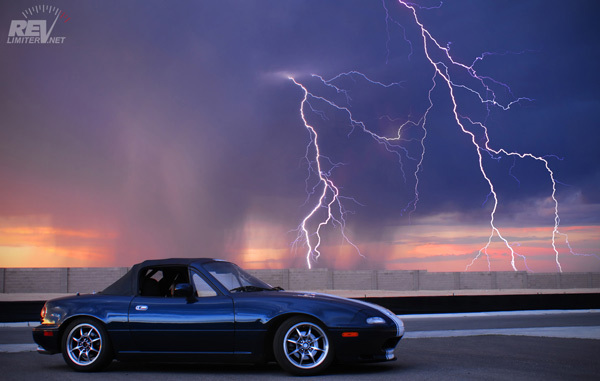 And thanks for the spotlight, Miata.net!